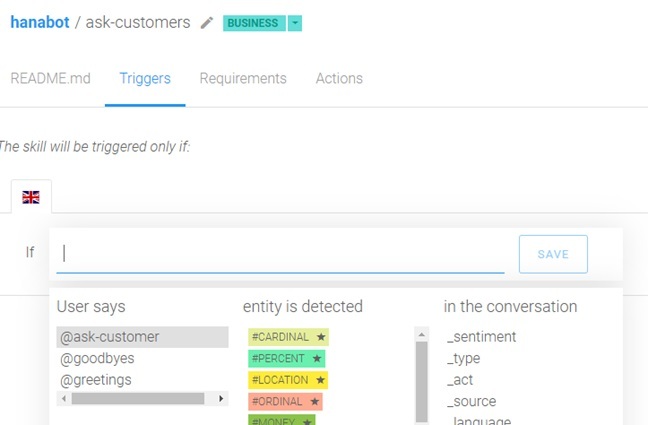 In this bog you will learn how to create a Bot in SAP Conversational AI integrated with Alexa (using an Echo Dot 3rd gen) to get data in SAP Hana database. Fiori application that was used here, is just to show all information that we are asking to Bot and give a visual feedback to user. Our focus here is not in Fiori development, but if you would like to see how this app works or use it for test, it’s available here. Special thanks to Danilo Jacinto that developed this app. This video is about this POC working in a presentation in SAP Inside Track São Paulo, Brazil, realized in March 23, 2019. In the end of this blog I’ll show a video with this same bot working in Telegram and Webchat in Fiori Launchpad. ◈ Create a free trial account in SAP Cloud Platform. – We used Neo Region, but you´re free to use anyone. 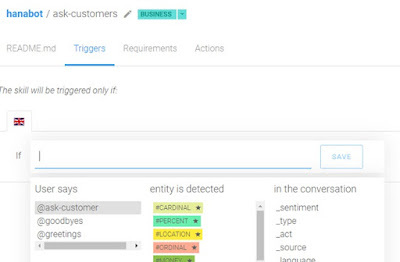 ◈ Create a free account in SAP Conversational AI. ◈ Create an Amazon Alexa Developer account – If you don’t have an Alexa device (e.g. Echo Dot, ◈ Echo Spot, etc.) don’t worry, you can do these tests in a simulator available in Alexa Developer cockpit. 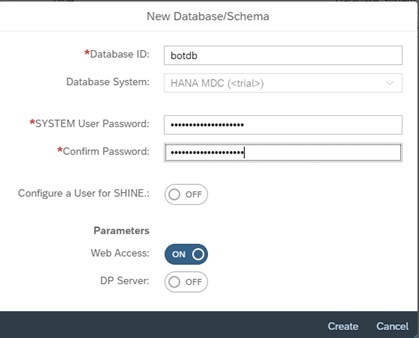 In “SAP HANA/ SAP ASE > Databases & Schemas”, create your Hana MDC database and setup all passwords for your accounts. Start you Hana database, open SAP HANA Web-Based Development Workbench, or connect with Eclipse if you prefer. Create a new XSJS file (e.g. 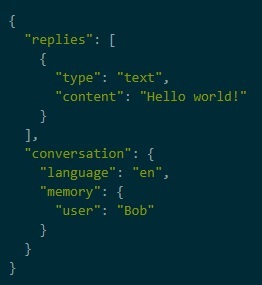 get_customers.xsjs), this service will be responsible to get data in your table e send data back to your Bot, in a Webhook that we will create soon. 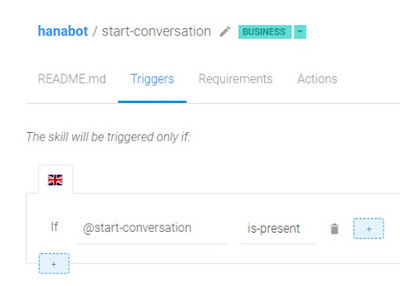 How to create a Bot in SAP Conversational AI? If you did the tutorial available in CAI (How to create your first bot) you know how many simple is to create a Bot using CAI. But here I´ll show step-by-step how to create a simple Bot to consume data in SAP Hana database using a XSJS service. For this sample we will use just “Greetings” skill. Here you must input you bot name (e.g. hanabot), fill the description and Topics if you want (e.g. 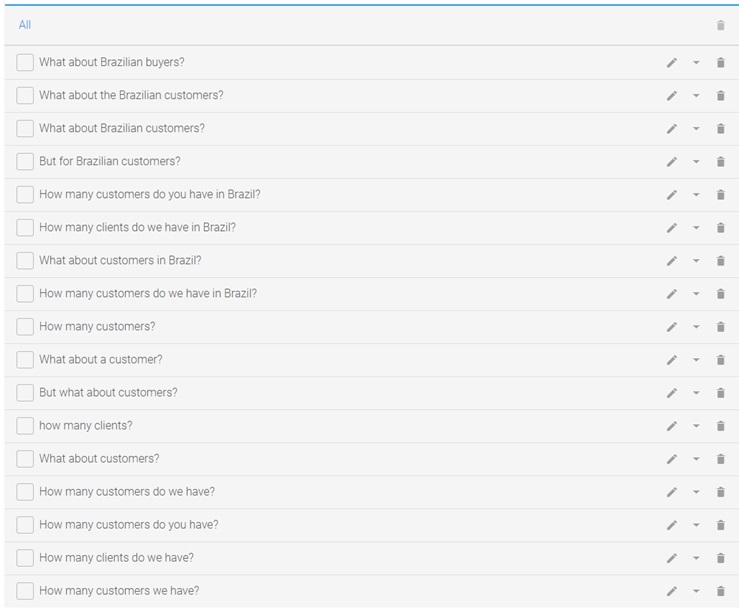 external-customers). Choose your options for “Data Policy” and “Bot visibility”. And click on “Create a Bot”. 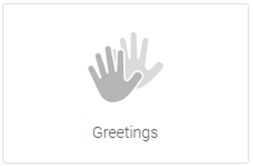 For this case, choose existent intents “Greetings” and “Goodbye”. And click on “Create Intent”. Click on “+ Create Skill” and input a name for your skill (e.g. 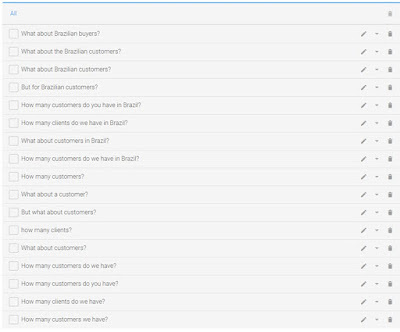 “ask-customers”). And click on “Create Skill”. 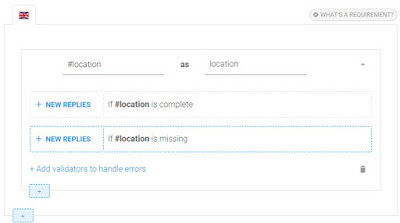 It means that when user speaks some “location”, bot will save this information in memory, as “location”. And just start actions for this skill if requirements are complete. Otherwise we must set up an action if location is missing. Click on arrow on right side of location and click on “+ New Replies” in the same line that is write “if #location is missing”. It’s important to know that “Actions” just executed when all requirements are met. 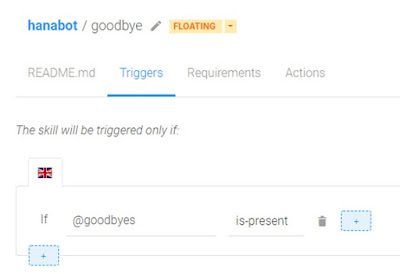 This webhook will receive exactly the json format that XSJS response, and bot uses this content to show an answer! Create a new intent (e.g. start-converstion), it will be responsible for start conversation when alexa call the skill. In actions tab for skill goodbye, set a flag in variable END_CONVERTSATION. It´s important to end the skill in Alexa app. In actions, click on “ADD New Message Group”, and click on “Update Conversation”, e selecione “Edit Memory”. 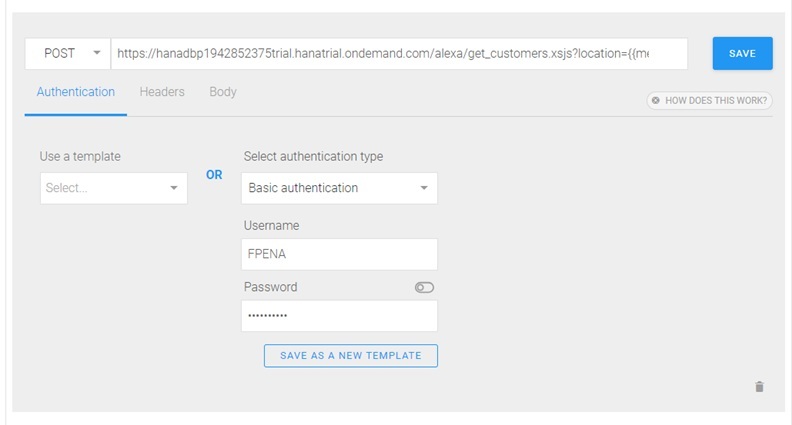 Select “Amazon Alexa” option, and follow the steps to connect, you just need to inform your Amazon account and create an invocation name. Done, now your Alexa device or simulator in Alexa developer cockpit can be used to retrieve information from Hana database. 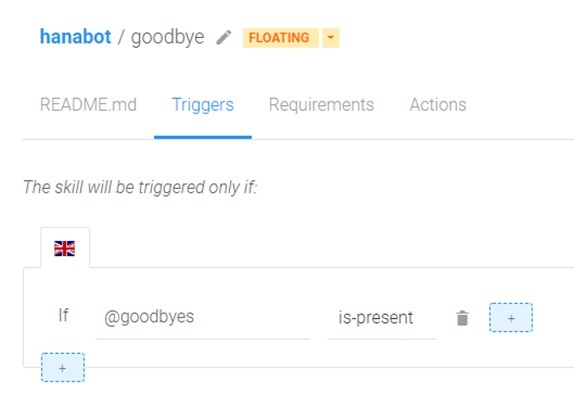 This same Bot in a Webchat Bot in Fiori Launchpad.